The song is from her new comedy music album “Cho Dependent”, which comes out on August 24th and is now available for pre-order. ‘I’m Sorry’ written by Margaret Cho and Andrew Bird, was produced by Andrew Bird, recorded and Mixed by Mark Nevers (Lambchop) at Beech House Studios. 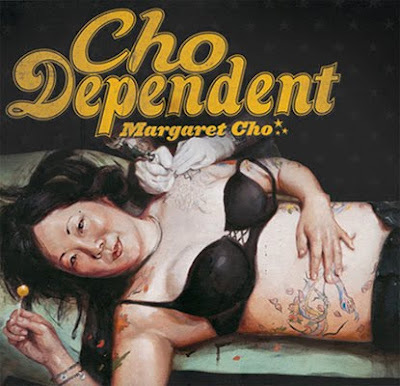 And the full length “Cho Dependent” features comedy songs with Ben Lee, Tegan and Sara, Fiona Apple, Brendan Benson, Jon Brion, Garrison Starr, Meghan Toohey, Ani DiFranco, Tommy Chong, Grant Lee Phillips, Rachael Yamagata and Andrew Bird.